Oh well, a r’n’r band road is often a hard one. Just surviving against all odds, you know. And by surviving, I mean living by its very essence: creating, playing, forward-thinking. You probably know the score. That’s such a common situation, no big news here. 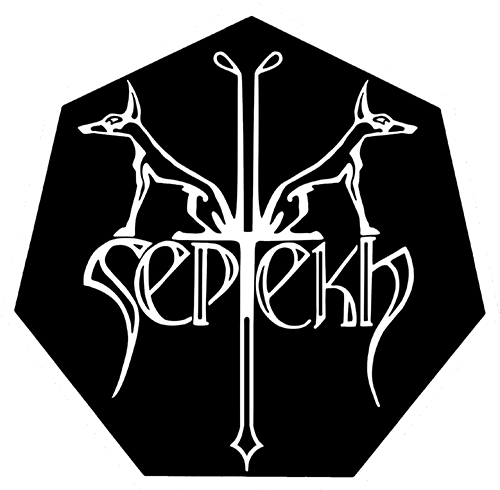 Except that Septekh is Septekh, and that it has a Plan. Oh yeah, they initiated me to its arcana but to be honest I probably only get half of it. It’s beyond me. It’s actually beyond them too. The Plan has plans of and for itself – we just try and keep the pace. Tempo, it’s all a matter of tempo. Now, I try and keep the metronome happy. As it happens, the BPMs are increasing right now. We’re still not sure exactly how, but those things which were in the making are not in the making anymore: they’re happening. I mean, new bursts of creativity to be unleashed. Unleashing them is the key thing. And if you thought we’d leave that to the chance, you’ve got another thingk coming. Be patient Septekhians. Be with us. Yield yourselves to the Plan. — Daddy Two-Hats. Management, silly headwear, and everything in-between – courtesy of The Staff.